The Center for AAC and Autism has a wealth of information for speech and language pathologists, educators and therapists working with individuals with autism spectrum disorders and AAC. Check out their information for educators and information for parents pages. The Gray Center is always a great resource for social stories. Speaking of social stories, new social stories app StoryMaker for social stories is simple to use and has multiple features for creating social stories. We are looking forward to the upcoming update in which material by Carol Gray, creator of social stories, will become available. PrAACtical AAC – We can’t get enough of this website. All of the information is high-quality and is geared towards implementation in a therapeutic, classroom or home setting; check out their strategy of the month section for excellent articles written by professionals in the area of AAC. Friendship Circle Blog – Check out the parenting section on their blog for good advice on all kinds of issues; advocacy, legal advice, and school and social issues. 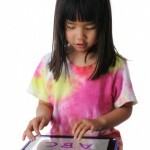 Speaking of AAC, here are some new apps that we have been previewing lately: Avaz, RocketKeys, and LAMP Words for Life. TOBY Playpad (Therapy Outcomes by You) is a new app that is designed as an early intervention curriculum for parents and their children with autism spectrum disorder. Developed by Deakin University in Australia, the app customizes the curriculum to the specific child, based on the goals set by parents and the progress made by the child. This unique app is a first of its kind and is designed specifically for families. To our fellow Canadians who are interested in policy regarding a national autism spectrum disorder strategy check out the Autism Society Canada and the Canadian Autism Spectrum Disorders Alliance to see how these organizations are advancing actions in this area. For our Australian friends, Autism Spectrum Australia (Aspect) and Autism Awareness Australia have comprehensive resources on their sites. We also wanted to mention that Spectronics – a fantastic resource for assistive technology has extensive resources on their site. Have a look at their AT resources on their autism spectrum disorders page. 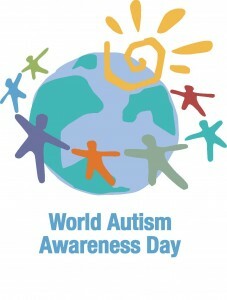 Our Autism Awareness Day 2012 post also has some great resources on it. Light it up blue for World Autism Awareness Day 2013! You never said what DAY is world Autism Day? At least I couldn’t find it on your site….